We’re in the market of creating space for ministry impact, which means we look for top talent in market spaces like architectural design, interior designers, and construction. Those markets, like churches, are facing a talent shortage too. So, let’s get practical and share some tips that can bring you success as you seek to ensure your church’s mission won’t suffer from unfilled leadership roles or a lack of qualified, engaged staff members. 1. Create a workplace culture that people want to be part of. Let’s face it, if we don’t get this right, nothing else matters. Because, even if we could attract talent, people don’t stay in frustrating workplace cultures. We also believe that focusing on a culture of mutual respect is of utmost importance. We’ve all seen the news stories of the past few years. Corporations, small businesses, and churches alike have been thrust into the media spotlight for leaders behaving badly. Get "Building Leaders to Launch New Congregations" so you can start a strategy for developing a pipeline of leaders. Around Aspen Group, we talk openly about what it means to be a culture with no tolerance for disrespect, harassment, or discrimination. Sure, we have a harassment policy and we hold training, but for us, the point is not to meet a minimum standard of being a culture that does not tolerate harassment. It’s about having an intentional commitment to be above reproach in this area. We focus on the need for peer-to-peer accountability, of making it widely known that no one is exempt from these standards (no matter what their title or role is) and ensuring that clear and consistent policies and practices are in place. When it comes to workplace culture, it’s also important to measure how you are doing. We use the Best Christian Workplace survey each year as one assessment tool. It helps us understand what we’re doing well as an organization and what we need to improve on. We’re thankful to have been named a Certified Best Christian workplace for four consecutive years and look forward to acting on what we learned in our survey results taken just a few months back. Creating and communicating your great workplace culture will allow you to become an attractional workplace. It’s every leader’s dream to have top talent reach out to you to inquire about job opportunities. That’s exactly what you can expect to start seeing once word gets out about your church’s culture as a great place to work! 2. Be Proactive! Build a pipeline of candidates before you have an open role. • Partner with colleges and seminaries. Reach out to schools that produce the type of talent you typically seek. Consider being a guest lecturer, chapel speaker, or attend an on-campus job fair to become known to students there. • Utilize interns. Interns are valuable in churches. They offer a great, fresh perspective, can assist with workload, and give you an opportunity to consider them for permanent opportunities. • Keep an electronic file of people who apply for positions you don’t currently have open. Stay in touch with these people. Connect with them on Linked In or social media. • Spruce up your Careers page on the website. Aspen Group is making this a priority ourselves in the coming year. Feature photos, videos, employee testimonials, and the types of roles that you typically look for (even if none are currently open). Talk about your church’s workplace culture. Get people who are simply checking out your website to consider you as an employer. • Build a sourcing strategy. Simply posting an opening in your weekly newsletter or bulletin is not a sourcing strategy. If you don’t have an HR function at your church, strategize with your leadership team. How are you going to get the word out about your opportunity? Cast a wide net. What worked last time might not work this time. Use multiple channels to get the word out. • Intentionally seek diverse candidates. Referrals are great, but they will often get you people who come from similar backgrounds as your current staff. To build diversity, you’ll need to add intentionality to your efforts. This has been an area of focus at Aspen, and it was gratifying to see our staff rate us higher this year on the Best Christian Workplace survey in our efforts to build a more diverse team. Network outside of your current circles, check out more diverse conferences, pastor’s associations, colleges, and geographies. • Use social media in creative ways. If your church has creative talent on staff, look to them to help you create content, visuals, and communications regarding your job opportunities that can be shared on social media or other avenues. Make sure you are building a great candidate experience too. Be clear about your process and respond to people you have interviewed in a timely manner with updates. Remember that your reputation as a church is on the line. People get a glimpse into your culture by how you treat them in the interview process. Not to mention that many large churches are featured on sites like Glassdoor.com where employees and even interviewees who are not hired can rate their experience for others to see. Finding time to do these things can be hard in the midst of other pressing priorities. Try carving out just an hour a week to focus on building a pipeline of talent. I promise the rewards are worth it! 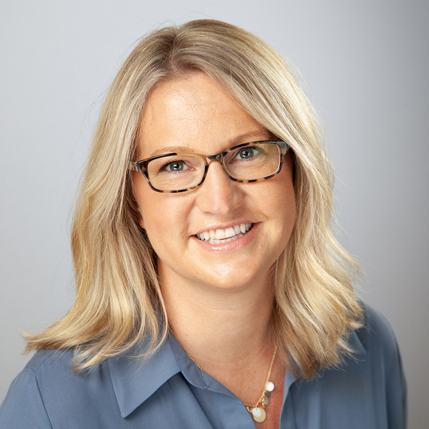 Becky Phillips joined Aspen Group in 2017 as the Human Resources Director, after starting her career in the construction industry and spending the past 14 years in various HR leadership roles at an international ministry organization. She leads as a strategic partner in ensuring that Aspen Group remains a great place to work, while attracting, motivating, engaging, and retaining fantastic people.